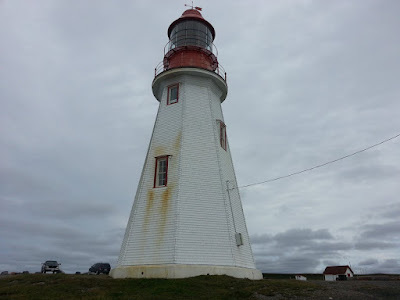 These are some of the lighthouses that we have visited in Newfoundland. We've got quite a few photos and GPS information on each on the website. We've joked that the places in Newfoundland with the best views are lighthouses and cemeteries. 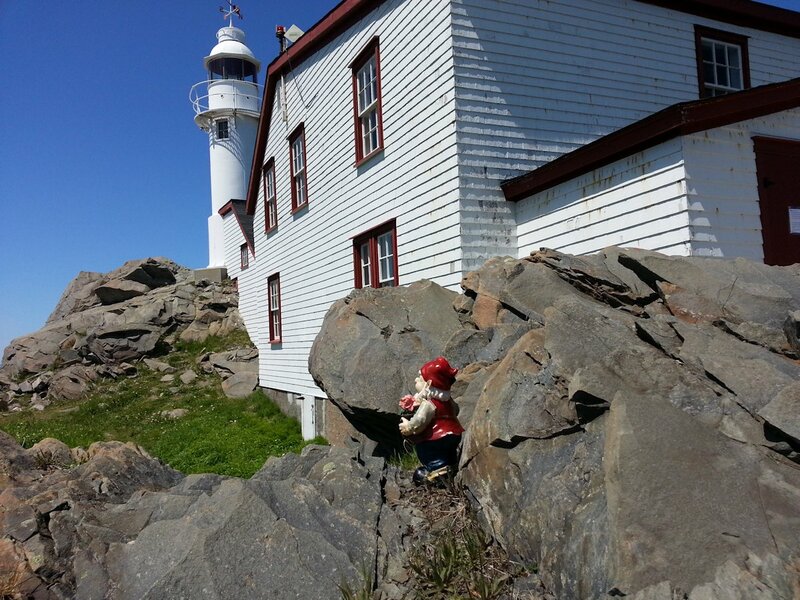 We'll definitely add more lighthouse pages as we visit more parts of the province. The next big one on our list is Point Armour in Labrador, which is going to be part of our trip this June (2016). The granite lighthouse in Rose Blanche is at the end of Route 470, 42km east of Port aux Basques. On the island of Newfoundland, the south shore is the most isolated part of the island. There are several outports east of Rose Blanche that are only accessible by coastal ferries. The drive along the Granite Coast is very pretty. 470 is a narrow winding road, it will take you about 45 minutes to get to the lighthouse. The landscape is very rugged with very few trees. The coastal views are spectacular. Cape Ray is only 20km from Port aux Basques. Just follow the Trans Canada from the ferry terminal and turn left on Route 408. You can see the sand beaches of J.T. Cheeseman Provincial Park, the coast near the lighthouse is very rocky. This is also a very windy spot, you are right next to Wreckhouse, which is billed as the second windiest place in the world. Cape Anguille is the western-most point on the Island of Newfoundland. You get there by driving through the beautiful Codroy Valley. Drive through the town of Codroy, NL. You keep going almost to the end of the road. 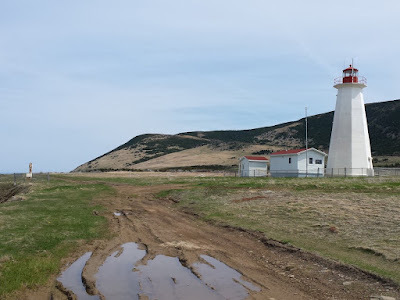 There is a fairly rough gravel road that takes you to the lighthouse. There is a very pretty Inn at the lighthouse. 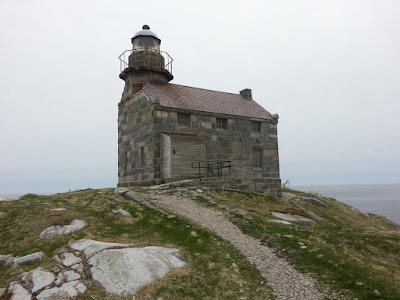 You can park there, walk over to the lighthouse, and continue on a trail along the coast. The trail is a quad track that follows the shoreline. It's a very pretty walk. The Lobster Head Cove Lighthouse is located in the heart of Gros Morne National Park. It's easy to get to, just go into Rocky Harbour and turn right on the main road that follows around the harbour. The road for the lighthouse is just past the north end of town. The lighthouse is a popular attraction in the park. It's manned by Parks Canada staff, that give tours and answer questions. There are nice public washrooms just off the parking lot. There is a picnic area and several trails that go around the rocky shore. The view from here is spectacular. Gros Morne is an amazing place. 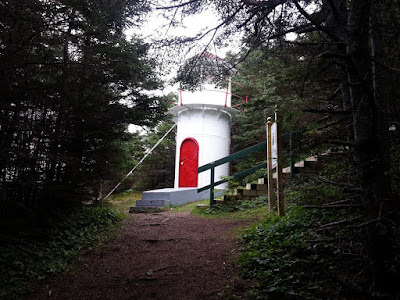 The lighthouse trail on the Cow Head peninsula takes you to this little steel lighthouse surrounded by forest. When we visited in June 2015 it was open and you could climb up a ladder and look out on The Gulf of St. Lawrence. We went back in September and it was freshly painted, but locked up. It is no longer operational. 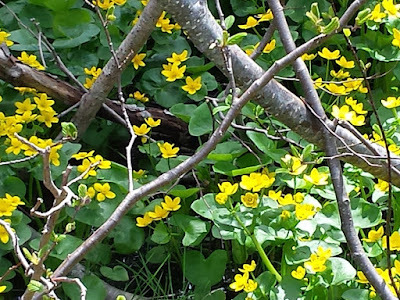 It is one of many highlights on this easy to walk trail. The peninsula is also known as Summerside. All permanent residents were resettled back to the town of Cow Head. To get to Port au Choix you take Route 430-28 West from the Viking Trail (Route 430). 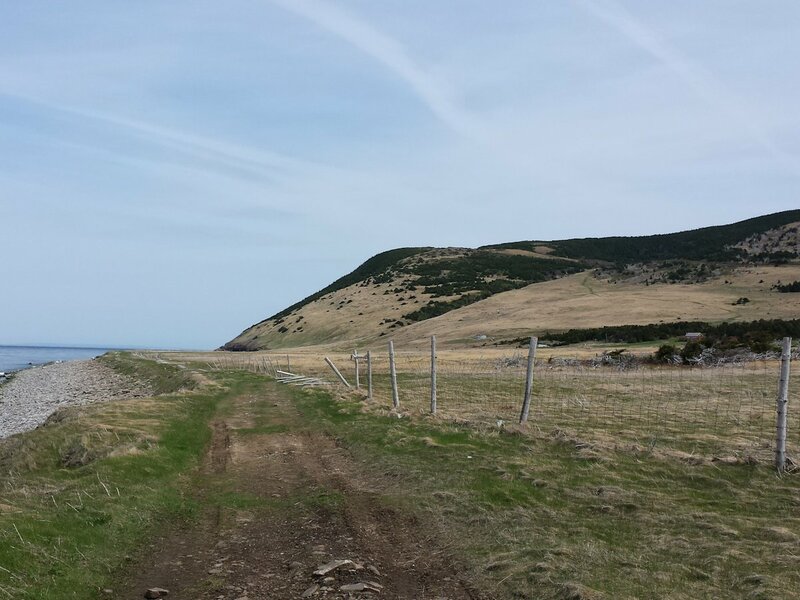 Follow the signs for The Port au Choix National Historic Site of Canada. The lighthouse is about a mile past the visitor centre on a gravel road. You are driving to the end of the Point Riche Peninsula. There is a large parking area at the lighthouse, you can start down The Philip's Garden Trail from here. When we were there in September 2015, we saw Caribou from near the parking area. The peninsula has both Moose and Caribou. Newfoundland's nickname is 'The Rock'. It does not matter what part of the island you visit, you'll see lots of rock. The province boasts several sites that have great geological significance. While walking trails we often find ourselves wondering how the various interesting formations came about. Our understanding of geology is pretty limited. We purchased a great book titled 'Geology of Newfoundland' by Martha Hickman Hild, available from Boulder Publications. 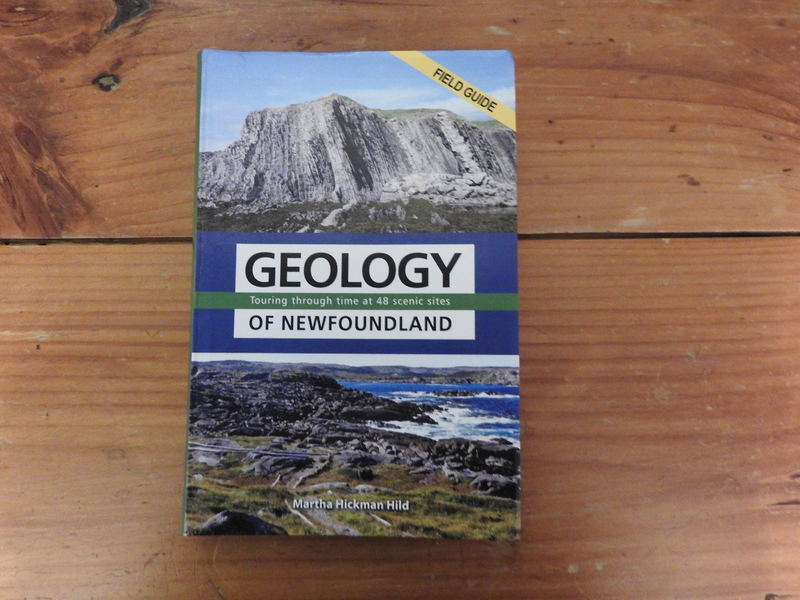 The book has GPS co-ordinates, photos and descriptions of 48 sites across the island. The level of information will satisfy serious rock hounds. In our case, we are able to glean enough to satisfy our curiosity. We keep the book in the truck, it does not matter what part of the island you are visiting, there will be an interesting site nearby. Western Newfoundland has the oldest rocks on the island. 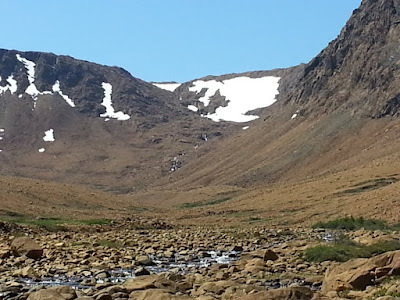 When you take the Western Brook Pond boat tour, you'll see the Long Range Mountains close up. The rock you are looking at was formed 1.5 billion years ago. The boat crew does a good job of explaining what you are seeing. When you are in Western Newfoundland, we'd recommend 4 other very interesting sites for looking at rocks. In Gros Morne, you'll also want to visit Green Point and The Tablelands. Stop in Stephenville and you can check out a petrified forest along the Blanche Brook Trail. 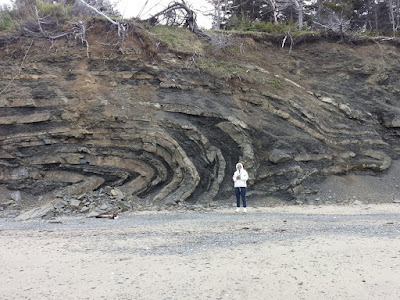 Finally, on the Port au Port Peninsula, we really enjoyed checking out the folded rocks at Piccadilly. At Green Point you are looking at millions of years worth of sedimentary rock formed at the bottom of an ancient ocean. The layers of shale and limestone have been shifted dramatically so they are vertical, not horizontal. Looking at the cliff from the beach you are seeing a time record. The older layers of rock are to your right, the younger layers to the left. There is a layer in the middle of the cliff that marks the dividing line between the older Cambrian period and the newer Ordovician period. This all happened just under 500 million years ago. Green Point has been designated as an International reference point for the geological time scale. Apparently there have been lots of geologists studying this cliff. It's not difficult to get down to the base of the cliffs. The tricky part is timing. You want to go late in the afternoon at low tide. Somehow we lucked upon the right time. It allows you to get further out on the rocky beach to get a better look at the cliff. It also allows you to see all the vertical layers of rock coming out of the beach at a 90° angle. The walking is a bit tricky on the jagged rocks. For more information on where Green Point is and more photos, you can visit our web page. This area in the southern section of Gros Morne National Park is very similar to the surface of Mars. It's a large area where the earth's mantle is exposed. The reddish, yellowish rock is peridotite. It's chemically unstable and water that seeps through it's cracks is slowly changing it to another type of rock called serpentinite. This process also alters the water chemistry. This recipe does not support plant life. The Martian surface is also largely made up of peridotite and serpentinite. There are lots of ways to see The Tablelands. The simplest is to just drive the road from Woody Point to Trout River. 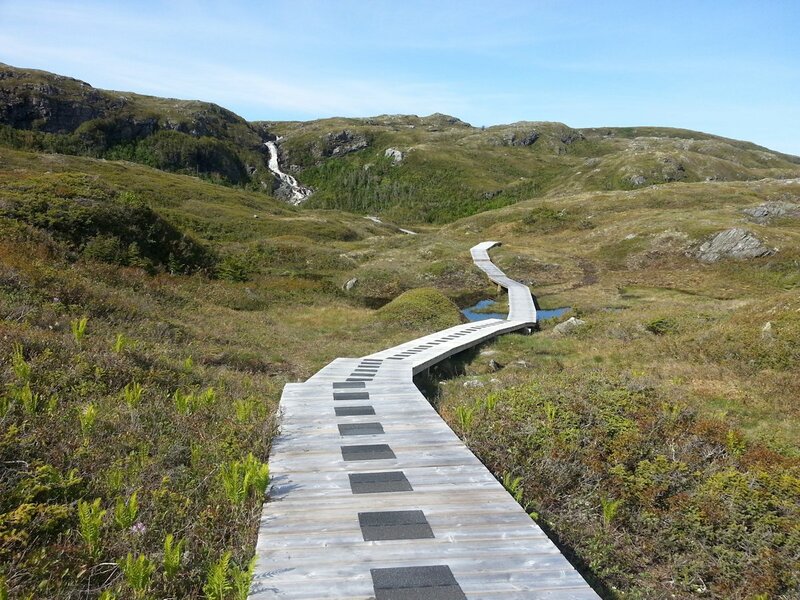 There is a trail that you can hike on your own or with a guided walk by Parks Canada. You can also get another view of The Tablelands by going on the Trout River Pond boat tour. The fossil trees along Blanche Brook are also very easy to get to. The trail starts right in Stephenville, next to an ATV dealer. You hike in about 1 km along the rocky stream. We first noticed what we thought were logs that the shallow water was flowing over. On closer inspection these were actually rocks. You need to get out and walk in the stream bed and you'll find lots of pieces of petrified wood. Don't take souvenirs, you need to leave it the way you find it for the next hiker. The trees are all the same species of primitive tree that is now extinct. They probably grew to a height of 48 metres and were some of the tallest trees of their time period. This is located quite close to Stephenville in Piccadilly on the Port au Port Peninsula. It's right along an easy to walk beach. It is a bit of a scramble to get down to the beach. This feature is not in any of the tour books, but well worth checking out. There are no signs giving directions and there are no interpretive signs once you reach that portion of the cliff. You will see layers of sandstone and crumbly dark shale. Forces folded the stronger sandstone layers into this interesting formation. Several of the sandstone layers are folded bottom up, so you can see what both the top and bottom of each layer looks like. You can stop at the Parkview Variety in Piccadilly for gas and munchies. They gave us good instructions on finding the folded rocks. We've detailed it on our Piccadilly web page.